Since 1950, D-Bar-A-Scout Ranch has been providing quality scouting experiences for Scouts, Schools, and Churches from Southeast Michigan and around the Midwest. D-Bar-A is located about an hour North of Detroit, MI. The ranch consists of just under 1,800 acres of breathtaking wilderness, 3 spring fed lakes, a herd of horses, longhorn cattle, and other livestock, 28 heated cabins with kitchens, a large central kitchen and 3 dining pavilions, and 11 tent sites. Program facilities include a 32 foot climbing tower, Bouldering Wall, two shooting sports areas to accommodate BB Guns, Archery, Sling Shots, Rifles, Shot Guns, Pistols, and Muzzleloaders, 2 firebowls, Fishing, an observatory, several Nature Centers, and 11 miles of the Pedro hiking trail system. Please email Cassie LeBeau, Ranch Program Director, for availability and to be assigned program times. Also, volunteer opportunities are always available. D-Bar-A Scout Ranch will train and oversee shooting sports, trading post, campmasters, and any special programs. Please Note: To ensure availability and to maximize our resources, units and groups might be scheduled for program areas during the same time slot. We will not exceed maximum participant counts. We try our best to have as many programs available as possible each weekend, but unfortunately cannot always guarantee all of them at this point. So, please call or email the Ranch Director Jerry Deeg – to let him know of your proposed plan of activities for your outing..
One Unit Leader must check in at the Martin Building (the first building with the red roof). The Ranch Director or Campmaster is expecting a unit roster at time of check in. Please download and fill out this roster and bring a copy with you for check in. This is the only roster that will be accepted. D-Bar-A Scout Ranch staff is uniquely qualified to present several programs for our youth to learn more about horses and about life on a working ranch. 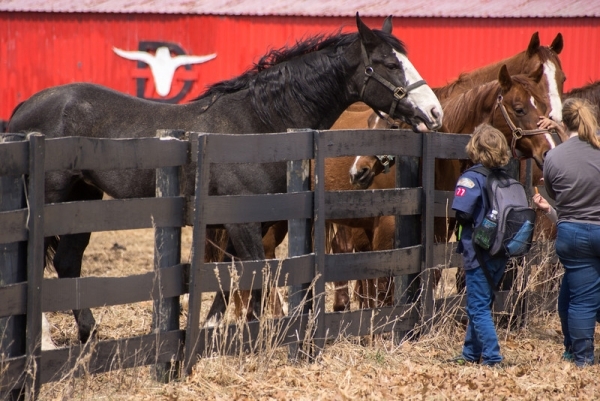 From the introductory Horsemanship Merit Badge to the fully immersive Ranch Hand Experience, your scouts will have an unforgettable experience. Note: Both the Horsemanship Merit Badge and the Mini Yucca weekend opportunities must be scheduled at least 90 days prior to the desired weekend. 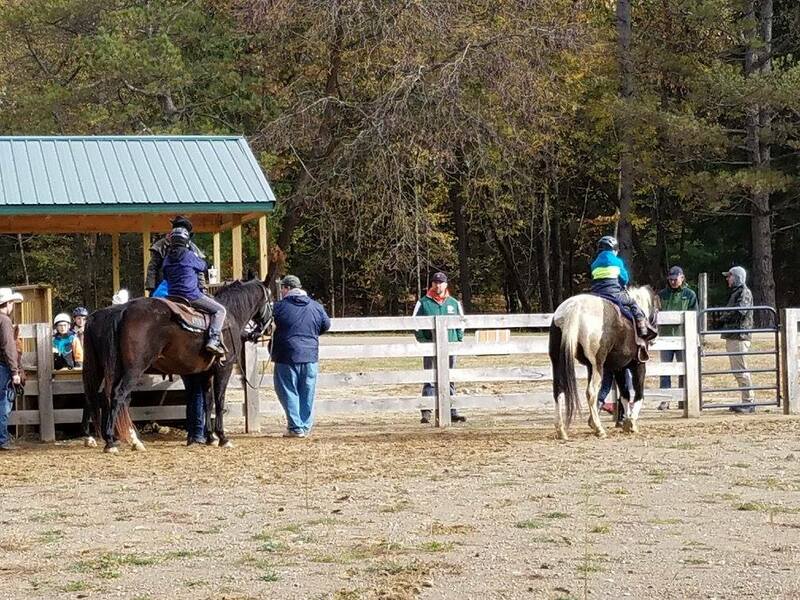 Every weekend, D-Bar-A offers horseback riding programs to units and outside groups. For Scouts under the age of 10, we offer this great introduction to Horseback Riding. Up to 30 Scouts can take advantage of this opportunity in a 1-hour time-slot. Held at our Corral near the barns, Scouts ride horses while their adult partner leads the horse around the Corral. 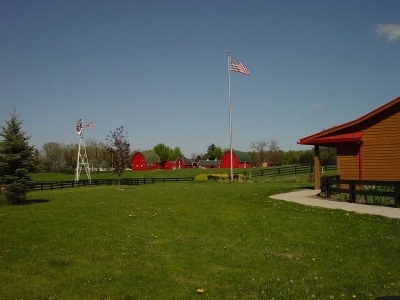 Scouts and adults will get to view the Ranch from Horseback. Each ride, with instruction times, lasts for 1 hour. The Horsemanship Merit Badge weekend starts with the desire of your scouts to learn more about horses. After establishing your weekend, participating Scouts will need to work on some prerequisites. Required study items will be sent to the unit leader. Scouts will learn about safety around horses, horse anatomy and different breeds. They will learn about grooming, hoof care horse health issues and will have the opportunity to demonstrate the riding skills they learn. Food and lodging are the responsibility of the unit. 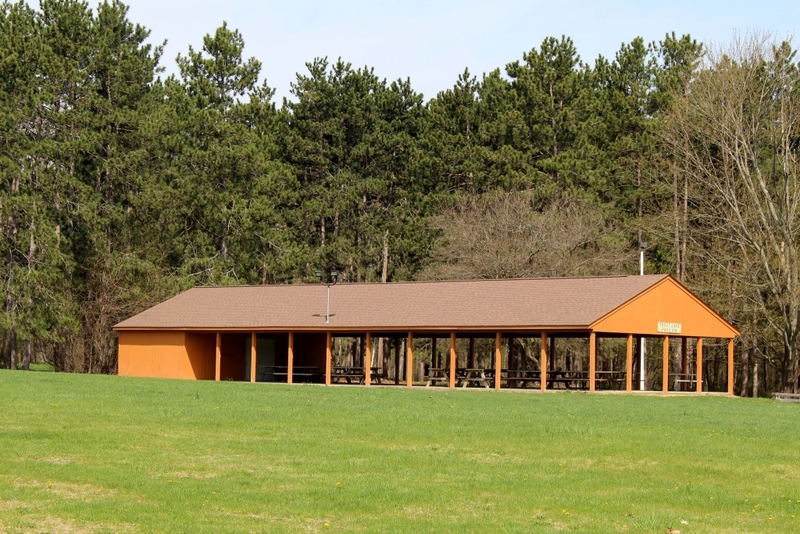 A variety of cabins and campsites are available at D-Bar-A Scout Ranch. Similar to the full Yucca Trail Program (see below), the mini-Yucca gives a unit the opportunity to hit the trail with D-Bar-A’s horses for a weekend. While there is not enough time to earn the Horsemanship Merit Badge in this abridged version, it is a great introduction to traveling and camping with horses. If you are interested in doing some more advanced horseback riding, then you must ride the Yucca Trail! The Yucca Trail is a four day and three night horseback riding adventure with highly trained staff that you will never forget. It begins promptly at 7:00 p.m. on the first evening. You will ride through parts of D-Bar-A Scout Ranch that few trek while caring for the horse you’re riding You also have the opportunity to earn the Horsemanship Merit Badge. The experience starts when you are assigned a horse, which will be your responsibility until the final feast on the last day. You will ride, groom, feed, and care for your horse and even take turns during the night tending to the herd. You will sleep out under the stars, just like the cowboys do on the open range. During the day, you will be riding and learning what is necessary to earn the Horsemanship Merit Badge. At night, around the campfire, you will be able to sing songs of western ballads and listen to some tales of the old west. The closing dinner will be at 6:00 p.m. on the final evening, and themed as a traditional western cookout. Parents and family members are invited to the dinner. Participants should be at least 13 years of age and First Class, and have some riding and camping experience. Except for your personal camping gear, D-bar-A Scout Ranch will provide everything that you will need including food and cooking equipment. A current BSA Health & Medical Record, parts A, B and C, including a Doctor’s signature, is required. Each session is limited to a maximum of 20 participants. Spend a week learning what it takes to work at a Ranch! Help the D-Bar-A Ranch Staff care for our herd of horses, long horn cattle and burros in this once in a lifetime adventure. Participants, in this full-immersion program, will earn the Horsemanship, Farm Mechanics and Welding Merit Badges, in addition to taking part in all aspects of running the Ranch from maintenance to horse care. Learn how to rope, ride, spend a night under the stars with the horses and even participate in a true cattle drive! You will work alongside the ranch staff on the 1700 acre farm. You will learn to bend and weld metal, work on farm machinery, and do repairs around the ranch. The Ranch Hand program is limited to a maximum of 12 participants. Prices and dates for 2019 coming soon. For more information on the Yucca Trail, Ranch Hand or any of the other horse program opportunities, please contact Steve Bailey, Live Stock Foreman and Ranger, D-bar-A Scout Ranch – cell 810-441-0900. The Trail to Eagle (TTE) program is a specifically designed program for the older Scout to give them the [TTE Eagle] opportunity to work on the merit badges they need to finish the Eagle Scout rank requirements. It is a one week, highly structured program held at D-bar-A Scout Ranch. Scouts must be at least 1st Class rank by June 26th and at least entering the 7th grade. Trial to Eagle Course Director Ed Basar and his volunteer staff have been proud to sponsor this event for 25 years and continue to set the bar high every year. Since its inception in 1995, over 2,400 Eagle candidates from 12 states, 31 councils, as well as from the Far East and Trans Atlantic Councils, have attended this unique, one of a kind program. One of the largest attended camps had 191 Scouts participate from six states, eleven different councils, and a Scout from Shanghai, China. Scouts from nearly every corner of the Michigan Crossroads Council have participated in this event. Over 55% of our candidates have attained the rank of Eagle Scout and even more are still working on achieving this lofty goal. We have had 60 staff members who have been with the program for ten years or more. There is a ratio of one staff member for every two youth. During their week at TTE, Scouts earn, on average, over 6 merit badges each. The Scouts have earned, on average, over 1,000 merit badges each year with an average of over six merit badges per Scout. TTE is not a merit badge mill, but rather a highly structured week that allows ample time to work on merit badges. A scout must earn the merit badge; they are not just given one. 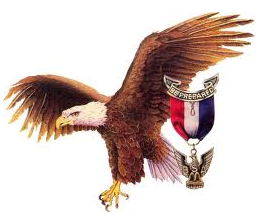 TTE camp typically will offer over 70 merit badges, including Eagle required badges. In addition, TTE will be offering many “see counselor” merit badges from our diversely experienced adult staff. All participants, who are called “Eagle Candidates” will be divided into provisional units, and will be based out of the cabins at D-bar-A Scout Ranch. Overseeing the Scouts will be at least three Scoutmasters and a Junior Assistant Scoutmaster (JASM), many of whom are Eagle Scouts, and in most cases have gone through the TTE program. All meals will be served, by the highly qualified D-bar-A food service staff, in Dining Hall (Wyckoff Lodge). While the emphasis is on earning merit badges, there will be many other high adventure activities which all add to the fun. These include: flag ceremonies, a waterball competition, war canoe races, “Basarball” (volleyball), Boy Scout Jeopardy, chess tournament, a camp wide Vesper Service, and the ever popular Order of the Arrow ice cream social. Also throughout the week, the Eagle Candidates are competing in a patrol flag competition, as well as the highly coveted Troop Spirit Award. Troops demonstrate their spirit with cheers and songs performed at assemblies before and during all meals. One of the MOST sought after distinctions is the George Thomas Award. This award is presented to Eagle Candidates who exhibit the same spirit and enthusiasm that this outstanding Scouter showed for the principles of the Scout Oath and Scout Law. Upon completion of the Trail to Eagle Camp, there is a special honors ceremony for the Eagle Candidates. The special event is open to and highly encouraged for all parents, siblings, grandparents, aunts, uncles and friends to attend.